As we age many of us wonder what our legacy will be. There will of course be a huge number of different responses, but perhaps in essence it might boil down to how our story is retold and therefore how we are remembered. Over the years we have been encouraging clients to think about their legacy and to create a storybook of photographs that is nicely printed as a keepsake. These days due to the continued advancement of printing technology, the cost of printing one-off books (or more likely less than ten) is very inexpensive, yet it provides something of great worth to those you leave behind. If your interest is at all peaked, it will likely be thwarted by the voice inside your head screaming that you simply do not have time to get such a project done properly, it will have to be done later. You are going to have to trust me on this…. Do it anyway. Even if the finished item isn’t quite as Photoshop perfect as you would wish, it is better to have something assembled that perhaps could be improved later. None of us know how long we have, we all hope for a long, healthy life with the time to do the things that we deem to be valuable. The reality is often different. Here is a little video which promotes the same idea. There are lots of solutions, but just make a start. If you want a basic template of ideas, get in touch – email me for a template. Happy New Year to you… just four days into the year and an intriguing email headline grabbed my attention. Fat Cat Friday, which succeeded in gaining my attention as I had not heard the term before. It seems that Friday 4th January is the point at which many CEOs of FTSE100 companies will pass the average earnings of most people in the UK – on day 4 of 365. Recent research by CIPD found that the average FTSE100 CEO earns £1,020 per hour, with a package worth nearly £4m. According to the ONS the median weekly earnings for a full-time worker in the UK was £569 a week (£29,588 a year) in 2018. When the hourly rate is worked backwards, by lunchtime today, the typical CEO would have already earned more than the median full-time employee. All of us (those with any investments at all) are likely to have holdings in FTSE100 companies. It would be incredibly rare not to hold any investment without some of it in FTSE100 companies. There is growing concern about the remuneration of CEOs, who often appear to be rewarded irrespective of success or failure. To provide some context, 2018 was a bad year for investors – the FTSE100 opened in January on 7,648.10 and closed on 31 December at 6,728.13 a fall of 12%. That said, a 12% fall is normal in historical terms, it is certainly within the range of expectations that any investor ought to have. Of course, I have not made allowance for income (dividends) which is a share of profits which was also paid to owners of the shares in the UK’s largest businesses. The FTSE100 itself was an index launched in 1984, back then a business needed to be worth £100m+ to be listed in the Index, in 2018 it was more like £4bn. However, by February 2018 only 29 of the original companies were still part of the index. These are enormous companies, employing over 6.8m employees between them on a global basis. Even if Brexit ever happens, some 70% of business revenues are generated from outside of the UK. The UK remains the place to list a business. I’m not suggesting that CEOs deserve to be rewarded such huge sums and neither would I want to infer that these 100 or so people are personally responsible for 6.8m jobs, there are genuine issues about fair and proper remuneration. The issues of inequality and the vast differences between the top and bottom (or even middle – which is what the median is) is an uncomfortable truth. Investors have the power to vote on remuneration and many FTSE100 AGMs simply miss the opportunity to give this some serious consideration. For some people the answer to almost any question is money. Whilst I would not underestimate its power, money is simply a method of exchange. In the most part having money means having choices and more opportunities. This doesn’t mean that those without it have no choices or no opportunities, but quite obviously they are much more limited. Money is the oil in a system to get things done. However as is also pretty evident, possessing a lot of wealth does not really mean that more opportunities are taken, indeed choices might appear to become more limited, falling into social expectations about what to buy, possess, retain whilst protecting with ever more complex security. There are always those that are willing to extract your money from you. This week I had yet another person confide in me that they were victims of a financial scam and felt too ashamed or embarrassed to admit it to others. Most of us, of course, work hard for our earnings, we don’t steel of kill for it. That said, one of the myths that I grew up with was that hard work pays. This is quite obviously not true. Plenty of people work hard or long hours and are not well paid, existing just above the bread-line, hence the need to work long hours. There are others that simply work in a way that by no measure appears “hard” yet are rewarded or remunerated very handsomely. This is of course simply another of life’s “welcome to adulthood” lessons. Those with very few opportunities, that possess the right skills at the right time can have their lives improved enormously by some helpful cash. One of the few common agreements about the Chancellor’s Budget is an unsaid one… we all would like to keep or get a bit more. Take Darlene Sweet, a singer is living hand to mouth, gig-to-gig, struggling to get by and desperate for a moment, a lucky break. It’s all about the books you read, the places you visit and the people you meet… right? 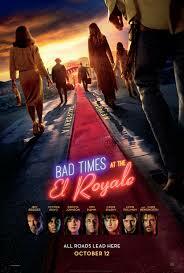 Well for Darlene, she happened to check into a hotel (the El Royale) near Lake Tahoe, on the border with Nevada and California… but the other guests, staff and hotel are not all that they appear to be. The lack of money will test anyone and has a tendency to play havoc with relationships. 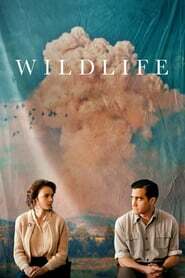 This is explored in the new movie “Wildlife” starring Jake Gyllenhaal, Carey Mulligan and new, rising star Ed Oxenbould. Set in the late 1950s at the crossroads of domestic politics in the US, we enter the world of an aspirational family. Jerry and Jeanette Brinson are shackled by their class background and struggling with compromises between their traditional upbringing and the reality of life as they experience it. Jerry loses his job which seems to be something of a familiar story, this forces them to confront how the family might realistically pull together, meaning Jeanette would need to find work. Their son Joe helps out too, by finding after school work. Whilst the lack of money may be the catalyst, the sad reality is that the Brinson’s are not good communicators, each having flaws that make things worse rather than any better. Their dysfunction is played out before Joe, who struggles to comprehend how his once seemingly nice, normal family life becomes a chaotic lonely environment. Whilst set in the late 1950s and early 1960s, there are of course parallels for today. The lack of work in parts of any country turns it into a wasteland with few signs of hope. Whilst it is undeniably true that the percentage of people in poverty is reducing, this does not mean that life is easy or even good for many people. It is precisely this lack of hope, the desire to blame anyone or anything different, that certain politicians will take advantage of. The sense of shame in being poor and the anxiety that it produces cannot be overstated. Jeanette will trade her dignity for security. Jerry will dice with death just to demonstrate his contempt for his lot. Joe, meanwhile (a boomer) is caught in the crossfire, trying to make sense of the gap between child and adult and what becoming a man might mean for him. One of the biggest assumptions that financial plans make is that a couple remains together. Sadly, this can often be a mistake. That’s not to say that divorce or separation are a “sad” thing, it can be healing and of course healthier. What I mean is that the self-awareness required to allow for this or make provision for it is often lacking. The assumptions being made about investment returns or taxes are frankly small beer when it comes to division of assets and the implications for all. The latest reworking of A Star Is Born is currently showing in cinemas. The tale is familiar partly because it is simply a remake and partly because this is familiar Hollywood ground. 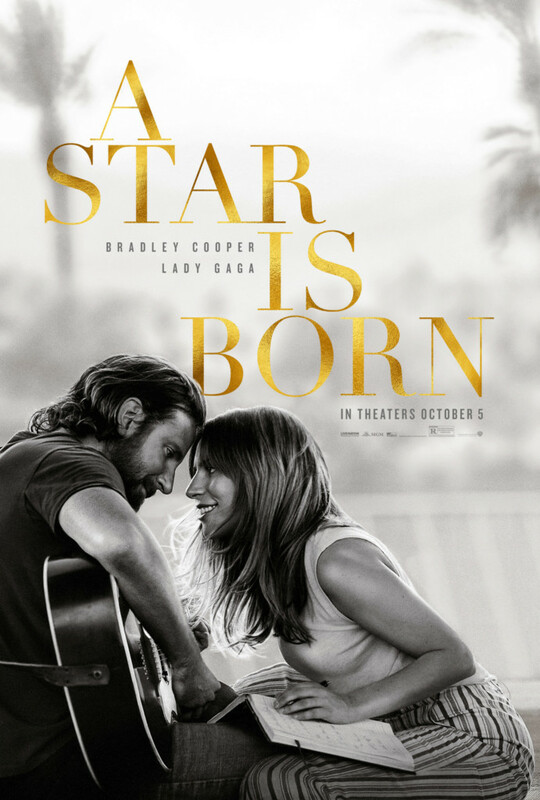 It is difficult to not be cynical about the simple commercialism of this remake, directed by and starring Bradley Cooper and muse de jour Lady Gaga. These two are already global stars in their respective fields, so there was always a high chance of ker-ching at the box office. There is nothing terribly wrong with the film. I had low expectations and so was relieved that it wasn’t as bad as I feared. Cooper is good as an actor, though heavy handed in direction and at 2 hours 15 it is about 45 minutes too long. If he is to repeat this role, he needs to learn the art of editing. Despite the screen time characterisation is thin – which is probably being kind. Certainly, this is yet another story about an alcoholic with money. The temporary relief of a woman to love and inspire him to better behaviour is insufficient. Lady Gaga can certainly sing and this element of her performance is powerful. Watching her however, you were always conscious that this is Lady Gaga – which is not the purpose of film. Jackson Maine (Cooper) is towards the end of his country music career (really?) and drunkenly happens upon Ally (Gaga) who is performing at a drag club after her shift as a waitress. The only female to do so. He is enthralled and within 24 hours has written a song for her which they perform as a duet without any rehearsal. This from a man that is apparently nearly deaf and mainly drunk. A video of this new encounter goes viral and Ally is immediately touring the world with Jack, from Arizona to Glastonbury. The depth and soulfulness of Ally’s songs is her appeal, yet a new English manager (Rafi Gavron) presumably a shade of Cowell, basically shapes her into a pop-tastic dancing pop-ster much like Gaga herself. The supposedly feisty Ally complies without any significant artistic difference. An almost out of body performance on Saturday Night Live which is really Gaga being Gaga. Yet this is nothing like the Ally we were all quite blown away by. Inconsistency aside, her success immediately casts Jack into the shadows where he swiftly finds substances to abuse. The story could have moved in various directions but failed to explore the backstory of the main characters. There is no help other than the usual Betty Ford type clinic, yet nothing to get under the skin of why. We are told that alcoholism is a disease. It isn’t, it’s simply yet another way of coping with trauma. The Hollywood problem is really one where nobody has the courage to say “no”. Admittedly, the story is meant to be partly about ambition, but the Vegas style marriage of a bad idea holds little to convince an audience that this is a deep connection, more one of convenience. We know and probably don’t care that much if Ally and Jack are just another 3-minute track on the playlist of life. The timeframe of the story shifts along at the pace of someone trying to fit in filming between pop tours, yet drags with the numbness of a long-haul coach ride. We learn nothing new about fame, fortune, alcoholism or ambition, but there’s a soundtrack in it. A wife is many things. Perhaps nothing quite demonstrates religious, political or cultural difference as how a wife is defined. How she is enabled or not. 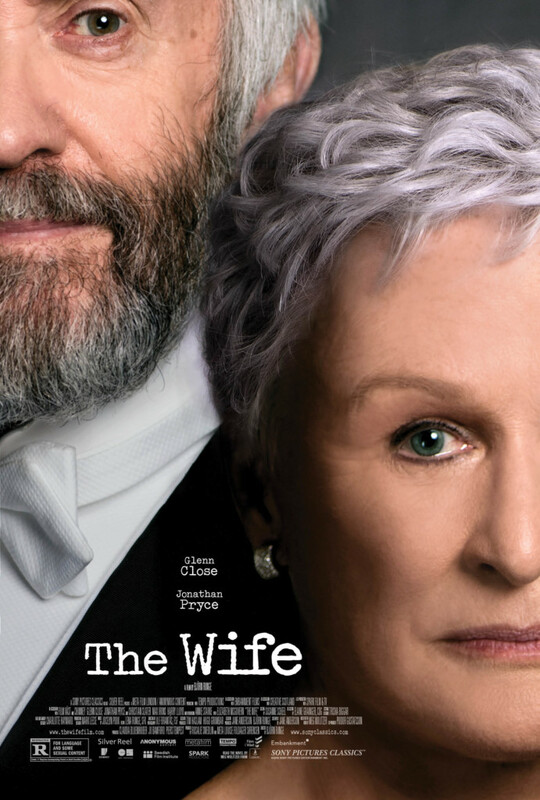 This new film starring the wonderful Glenn Close and Jonathan Pryce is a timely piece for gender politics. In many respects the film treads the line of the traditional, supportive American wife. She has given up a career, her dreams have become his and she has watched and supported him to thrive. Set in the early 1990s, we are introduced to Joan and Joe Castleman. Joe is woken by the ringing bedside telephone (remember those?) and informed that he is to be the recipient of the Nobel Prize for Literature. It seems that the call is expected, Joe does not wish to hear the news until Joan is also able to hear the confirmation at the same time on the other handset. This is the pinnacle of his career and reward for his vast body of work. Naturally, celebration and a trip to Stockholm follow with struggling, moody writer son in tow. We have all heard the phrase “behind every great man, there is a great woman”. This film explores that concept with dark humour. Joe is gradually revealed as a womanising narcissist who trots out the same well-worn and apparently successful pick-up lines. He has a penchant for younger women and despite his evident infidelity is constantly permitted to return to his devoted Joan. This always confounds me. On the plane (Concorde) to Stockholm, writer Nathaniel Bone (Christian Slater) congratulates Joe on his award and presses him for a meeting to discuss the biography that Bone plans to write about him. Joe is irritated by the interruption and makes it clear that he has no interest in a biography. Joan warns him not to be chiding and to take a more diplomatic approach. Making enemies with a writer is unwise. This signifies the moment that Joan begins to reflect on the choices she has made and their impact on her family. I shall not spoil the story for you. I have met hundreds, perhaps thousands of couples in a professional capacity. All are different. Some keep their finances very separate, some very fused and some rather dissolved. It is common for one party to “do the finances” often the husband. I am not suggesting that this is wrong. It does pose a challenge when the relationship changes though either of the two D’s – death or divorce. One book that does not lie is a chequebook (remember those?). 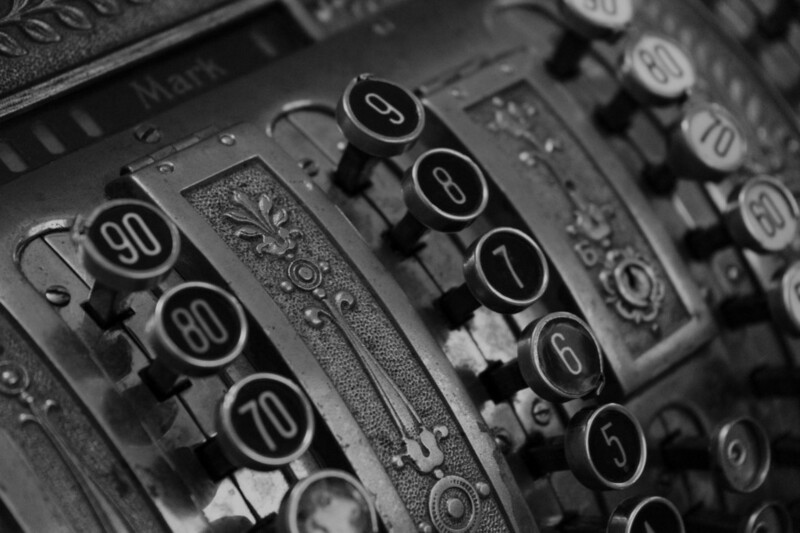 This provides an account, warts and all – how we all use our money. There is no hiding. Sometimes the reading is depressing, sometimes encouraging. It certainly tells a story. The Wife is a pretty good story too, here is the trailer. I was on conference in Birmingham this week… no not for the Conservative party. 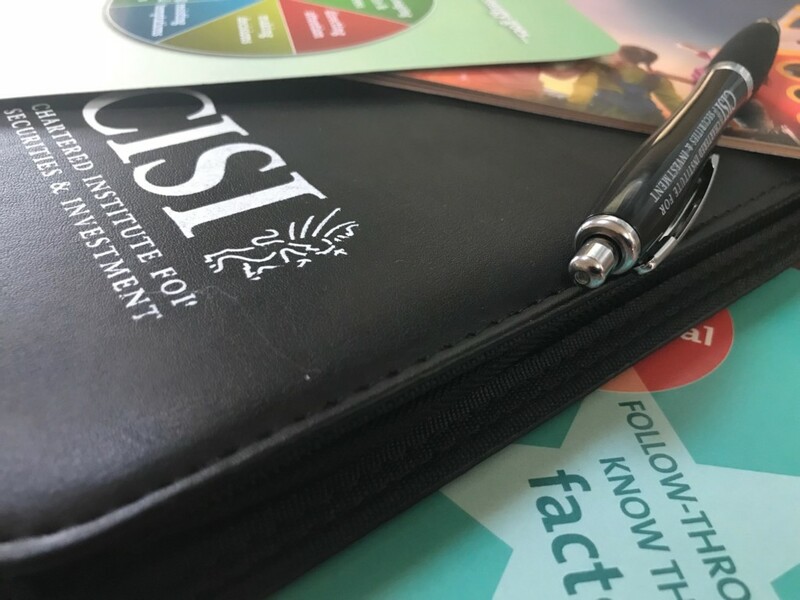 A much more trustworthy bunch – “my institute” – the CISI or Chartered Institute for Securities and Investment. I have been attending this for a number of years now and always manage to find several useful and practical things that I can do to improve how we help clients, be that improved technical skills, evolving technology or “simply” better practice management. This year I was particularly struck by some of the issues raised by Dr Moira Somers, a clinical neuropsychologist from Canada. In essence she helped explain why all of us are guilty of not doing things that are good for us. In this context why, clients do not do some of the things that we advise or require them to do so that we can help them better. Things in their interests but simply get put off again and again. Two things that readily came to my mind. Getting clients to draw up their Wills and Lasting Power of Attorney. Admittedly this is a fairly morbid subject. The professional advice and implementation costs are not insignificant. The importance of having these in place can never be overstated by anyone that has experienced not having them when required. Like everyone else, there are things in my life that I don’t get around to. We might call this self-defeating behaviour. Hopefully I now have some thoughts about new strategies I might employ to encourage “adherence” … but I guess time will tell if these are effective. Dr Somers explained that In Canada, 70% of people do not have a Will (audience audible drawing of breath). Here in the UK I have little reason to believe that it is much better. After a quick bit of research, it would seem that in London 59% of adults do not have a Will. This is not as bad as Glasgow where the rate rises to 70%. As the life expectancy in Glasgow is far lower than it is in London, I would encourage Glaswegians to accept the challenge to beat London in this statistic alone. 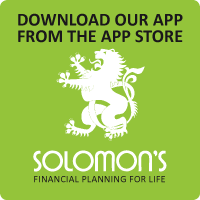 Basic money skills – such as budgeting and saving are at very poor levels in the UK. One statistic mentioned was put in stark terms. Most people in Britain do not have enough cash in their bank to replace their boiler, should it fail this winter. They would have to borrow and go into debt. The UK is not unique in this regard. Our clients are of course people who do save or have done so and are better at acting for their benefit (and that of their family). However, most of us could probably improve our handling of money, so that it is not wasted or simply frittered away. Every good financial plan starts with the end in mind, but also the reality of today, how money is spent and used now. The cost of lifestyle is vital to understand when attempting to maintain and protect it. I have to admit to being a little uncertain about the title of this film in 2018 and frankly the film itself did little to convince me that it didn’t fit. Yes this is a story about rich Asians, but not what I would describe a crazy. For certain, there are many examples of a dysfunctional family, but no more than most families. The film has taken the US “by storm” with box office receipts there already more than $120m. This is a love story, a “rom-com” though the jokes were not exactly coming thick and fast. 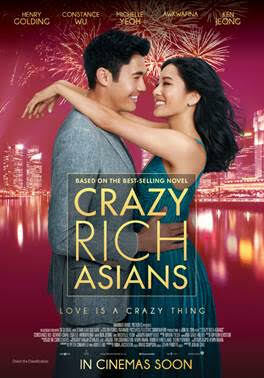 The point of difference is that this is an Asian cast making a film about “normal” Asians that do not fall into the typical stereotypes that we have become accustomed to seeing in the West. At the BFI preview last week, the international cast were very keen to make the point that for them, this was a significant film about their identity, shown in a positive light. Representation within a mass market is something that male white westerners like me will never really fully appreciate because “we” make up the vast majority of the market. I am not going to disagree. However, stereotypes in film are shorthand to make a story move along. I enjoyed the film for its entertainment but cannot in all honesty say that it is particularly good or revolutionary (other than representation). The plot is that of most basic fairy tales with the “rags to riches” heroine confronted by those that wish to preserve and prevent her access to a “higher social class” typically taking the form of the wicked step-mother, here it is simply mother (Michelle Yeoh) and grandmother (Ah Ma). Hardly revolutionary! The males are essentially invisible, due to workaholic lifestyles that keep them away from their families, those that are not already dispatched to British Boarding Schools. Yet this, we are supposed to believe is what Nick Young (Henry Golding) is conflicted by, his love for his Cinderella, Rachel Chu (a US University economics professor) or running the Young family empire in Singapore. Rachel (Constance Wu) is oblivious to the Young family fortune, arriving in Singapore to meet Nick’s mother, more concerned about the US and Singapore cultural differences than any financial ones. Thus, dramatic tension is formed… and the feeling that you have seen this before. The story unfolds as the couple arrive in Singapore to attend the wedding of Nick’s best friend (hereto unmentioned) Colin and his fiancée Araminta. Through the nuptial preparations Rachel faces backstabbing, envy and malice primarily from those that believe that she has usurped them on their own gold-digging quests. Like the proverbial fish out of water, she seems to forget all the skills that make her a professor of economics at a New York University…. I had wondered where issues about money might arise. Perhaps we would learn some deep secret about family, tradition or cultural wisdom that would offer a pithy alternative to the excessive consumerism. Sadly, there was little evidence that Asians are any better at handling wealth than anyone else, no great pearls of wisdom, no Eastern enchantment or sophisticated puzzle to solve. There are small nods to a sense of inadequacy for the have-nots and a very minor sense of embarrassment for the “haves” the examples provided are forms of excessive spending. Everything is big and done to impress for the Instagram world – no different from anywhere else. Nothing unique at all. There are some tacky and tasteless homes, but no different from that chap that has a Tower. The excessive parties are simply that, self-indulgent and really rather daft. I don’t think I’d call it “crazy” I’d probably describe it as thought-less. That said, this is aimed at Americans, where any word is used to mean “very”. Very Rich Asians would be a more appropriate title, though in fairness, “Some Very Rich People in Singapore” doesn’t have the same marketing slickness to it. Here is the trailer, the film is on general release from 14 September 2018. Most probably know something about Mary Shelley. A new film outlines pieces of her life that when reassembled, form the basis for the story of the neglected, forgotten creature. Whilst the acting is good enough (just about), I regret to say that the tale itself is too slow and stiff, much like the author’s creature. The film is wedded to the notion of historical accuracy, the passage of time is painfully laboured. We can marvel at the sheer determination of Mary as she faces challenge upon challenge, most of which are fabricated by society due to nothing more than how she was pieced together herself by way of her gender. A world in which men quickly scoff and take credit for all things good, detach, ignore or abscond from any sense of responsibility. The notion of giving birth to something loathsome is evident both within her gothic novel and life story, yet it forms the basis of many metaphors today. There is a palpable sense of the position that money affords those that have it and it is also difficult to escape the notion of the fact that this is essentially a film about young, tempestuous love, which is fuelled with financial advantage – not from Mary, but certainly the men in her life. The loss of her mother, Mary Wollstonecraft (age 38 in 1797) something of a pioneering feminist a few days after her birth is not explored. We, like Mary are left to guess at such a legacy and the “well-read” men she encounters appear not to have heeded Wollstonecraft’s work “A Vindication of the Rights of Woman”. The poet, Percy Shelley (Douglas Booth) who Mary (Elle Fanning) meets at 16 when she is sent away to Scotland to avoid further fractions in her relationship with her step-mother. Percy, 21 at the time, falls for her and eventually follows her back to London, only revealing that he is already married, to someone who he now does not love. The bohemian free movement between relationships he presumes meets with Mary’s support. The men in Mary’s life are not good with numbers, both her father and Percy struggle financially and get out of their depth. A skill in one area of life does not include another. Percy eventually borrows against his future inheritance. All, it seems, because he has fantasies about how he should live. Lord Byron’s (Tom Sturridge) appearance merely provides yet further resources to alleviate the boredom through various traditional means of escape. I cannot recall quite where I heard it, but I remember someone telling me how they thought that the 1816 dinner-party in Geneva where both Frankenstein (Mary Shelley) and Vampires (John Polidori played by Ben Hardy) were created would be a marvellous night to be a guest at the table. Yet, the night passes damply without any real sense of occasion at all. History has given credit to Byron as one of England’s greatest poets. What I suspect the film is trying to convey is the sense of his rather selfish sense of entitlement. At 28 he was the eldest of the group in 1816. Polidori being 21 Percy Shelley 24 and Mary just 19. The men, for all their indulgences did not live long afterwards. Sadly, this film does not do justice to the more radical views of Mary Shelley, instead contorting the story into something that is more like a petulant teen romance. Her own children conspired to hide her feisty nature by doing something of an early Victorian PR work on her character. Mary Shelley was a woman with much to say about society, yet even today most mistake her creation’s very name. Stories are important to me; your story is the one you tell and want retold (to some extent). Therefore, it seems logical to live by design – on your own terms, how you wish to, not dictated by others. Your finances need to be the architecture around your lifestyle, supporting and ensuring it can continue, but unless you reveal your story to your adviser, how on earth is that possible. Jurassic World: Fallen Kingdom is yet another version (the fifth) of the 1993 hit Jurassic Park. What was once, a milestone for special effects, now rather like the re-engineered dinosaurs is all too familiar. This may have something to do with the financial success of the immediate predecessor, which was the biggest in the series in terms of actual takings ($652m) and this latest film has already taken $333m since June 22nd. Hence the reason for hashing together the same story with minor alterations. As predictable as the story is, there was a growing unease as I found asking myself “why have I paid to watch the same movie yet again?”. Perhaps that is precisely the point. Why on earth to we never learn from our mistakes of the past, or at least seem unable to. Fallen Kingdom might be a metaphor for the monsters that we tolerate within our midst. The stereotypes that seem intent on only advancing methods of ruining lives rather than improving them. Men paid to fulfil the orders of the rich, psychopathic and powerful and who never question loyalty to anything other than their own self-interests. That which was once thought long extinct has risen and is now marauding local communities whilst wearing a rosette. The monsters are amongst us, Pandora’s box is open. As the movie is so much like any of its predecessors, the notion of a spoiler alert seems somewhat redundant, but here is one. There is a sequence in the movie where dinosaurs are auctioned to the usual crowd of despots, criminals and oligarchs. Some are merely using these for “big game hunting” but some to terrorise. The latest “newly improved” DNA adjusted monster is proclaimed to be the ultimate killing weapon. A dinosaur that can be controlled. The control is administered with a laser-sighted automatic weapon, pointed at the victim, dino locks on, and then the bug red button is depressed to release a sound that sends dino into a killing frenzy. This work of deadly genius fetches $28m. Now I have a couple of problems with this. Firstly, if you can point an automatic weapon at your intended target, why do you need a dinosaur? Secondly, if this is the ultimate soldier, a winning bid of $28m seems a few billion off the mark. Have they ever seen the “Defence” budget? The closing sequences of the film are utterly daft, with said monster tracking small child through an American “mansion” (one cannot escape thinking that this is designed with a theme park ride in mind) in the pouring rain, locating her bedroom, like something more out of Monsters Inc. Second (friendlier monster called “Blue” saves the day, thrusting beast onto the magnificent ancient remains of triceratops skull. The ancient overcomes the new. 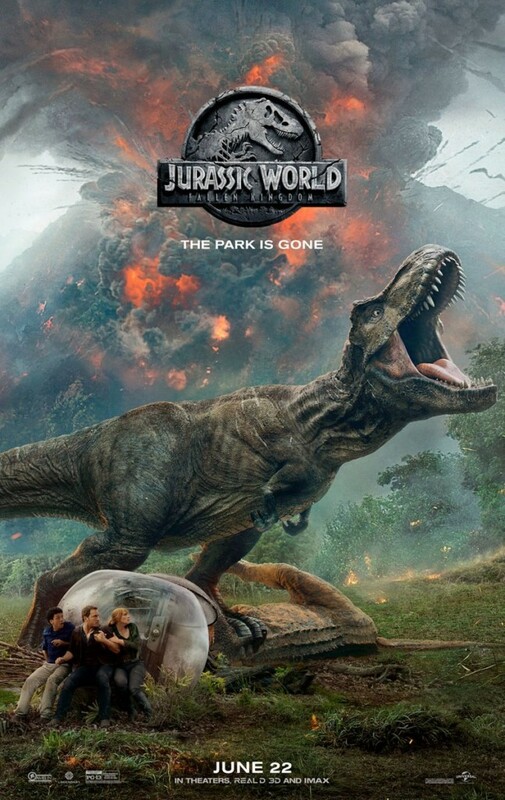 Girl then exposed as being a work of genetic magic herself, then releases remaining captive dinosaurs into the local community, who we are now told will have to co-exist and live with the consequences. Well, its about as daft as some of the political waffle that we all see on “the news” in its various forms. The monsters are arguably within us all, some are more obvious – displaying their basic qualities and frenzied outbursts, be that on twitter, Question Time or perhaps in a local IKEA store, the local pub, the centre of London or lurking in the shadows quietly moving the pieces into place as less regard for life and communal harmony become evident. There are moments when I despair, yet continue to live in the hope that civility, fairness and peace will eventually triumph, which first has to start with my own behaviour. So the financial lesson – investor behaviour will make or ruin you. Following the crowd, being led by the noise, “everyone is doing it” intoxicated by the illusion of not needing to think will be a quick and painful way to watch your money flee to a new home. Know what and who you are dealing with, don’t mess with the cages, just because you can, does not mean you should. Here is the trailer for the movie Jurassic World – Fallen Kingdom.